Below are some of the most frequently asked questions patients have about dentistry and oral health issues. If you can’t find the answer you are looking for please contact us and we will find the answer for you. If you would like to learn more about any of the dental services we offer, or would like to book and appointment with our dentist contact us or schedule an appointment online. Morning time– Saliva flow almost stops during sleep and its reduced cleansing action allows bacteria to grow, causing bad breath. Certain foods– Garlic, onions, etc. Foods containing odor-causing compounds enter the blood stream; they are transferred to the lungs, where they are exhaled. Poor oral hygiene habits– Food particles remaining in the mouth promote bacterial growth. Periodontal (gum) disease– Colonies of bacteria and food debris residing under inflamed gums. Dental cavities and improperly fitted dental appliances– May also contribute to bad breath. Dry mouth (Xerostomia)– May be caused by certain medications, salivary gland problems, or continuous mouth breathing. Tobacco products– Dry the mouth, causing bad breath. Dieting– Certain chemicals called ketones are released in the breath as the body burns fat. Dehydration, hunger, and missed meals– Drinking water and chewing food increases saliva flow and washes bacteria away. Certain medical conditions and illnesses– Diabetes, liver and kidney problems, chronic sinus infections, bronchitis, and pneumonia are several conditions that may contribute to bad breath. Practice good oral hygiene– Brush at least twice a day with an ADA approved fluoride toothpaste and toothbrush. Floss daily to remove food debris and plaque from in between the teeth and under the gumline. Brush or use a tongue scraper to clean the tongue and reach the back areas. Replace your toothbrush every 2 to 3 months. If you wear dentures or removable bridges, clean them thoroughly and place them back in your mouth in the morning. See your dentist regularly– Get a check-up and cleaning at least twice a year. 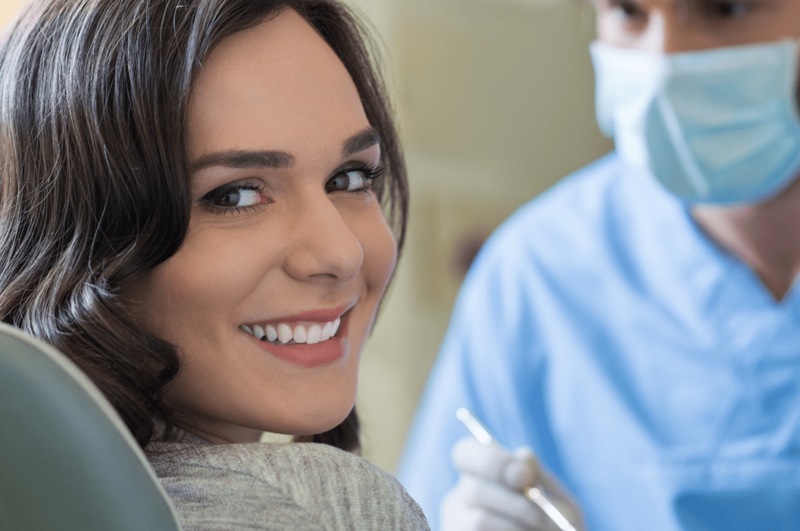 If you have or have had periodontal disease, your dentist will recommend more frequent visits. Drink water frequently– Water will help keep your mouth moist and wash away bacteria. Use mouthwash/rinses – Some over-the-counter products only provide a temporary solution to mask unpleasant mouth odor. Ask your dentist about antiseptic rinsesthat not only alleviate bad breath, but also kill the germs that cause the problem. Teeth polishing:Removes stain and plaque that is not otherwise removed during toothbrushing and scaling. Oral hygiene recommendations:Review and recommend oral hygiene aids as needed (electric dental toothbrushes, special cleaning aids, fluorides, rinses, etc.). Review dietary habits:Your eating habits play a very important role in your dental health. Smoking or chewing tobacco– Tobacco users are more likely than nonusers to form plaque and tartar on their teeth. Certain tooth or appliance conditions– Bridges that no longer fit properly, crowded teeth, or defective fillings that may trap plaque and bacteria. Many medications– Steroids, cancer therapy drugs, blood pressure meds, oral contraceptives. Some medications have side affects that reduce saliva, making the mouth dry and plaque easier to adhere to the teeth and gums. Pregnancy, oral contraceptives, and puberty– Can cause changes in hormone levels, causing gum tissue to become more sensitive to bacteria toxins. Systemic diseases– Diabetes, blood cell disorders, HIV / AIDS, etc. Genetics may play role– Some patients may be predisposed to a more aggressive type of periodontitis. Patients with a family history of tooth loss should pay particular attention to their gums. Tenderness or Discomfort– Plaque, calculus, and bacteria irritate the gums and teeth.